The Higher Education Act (HEA) originated in the spirit of expanding opportunity so that no student would be denied a chance to participate in higher education due to finances or social status. Today, higher education serves as the most effective engine of social mobility.1 As Congress begins the work of reauthorizing HEA, the 35 undersigned organizations, representing students, schools, faculty and staff, consumers, veterans, civil rights, and higher education advocates, urge you to work together to prioritize college affordability and access to higher education for low-income students and families. 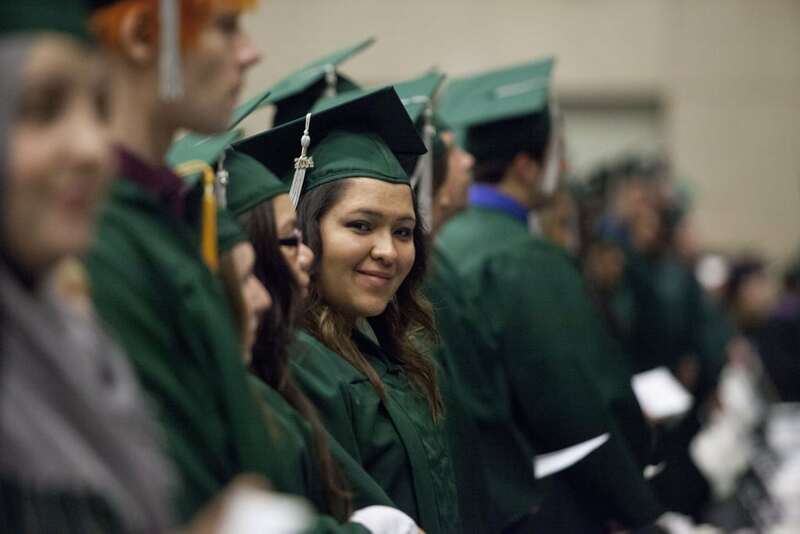 The federal government is not fulfilling its end of the bargain in helping students access and afford higher education. Pell Grants are the foundation of our national investment in higher education and go to students with significant financial need. Yet the maximum Pell Grant for 2017-18 covers less than 30 percent of the cost of attendance at a public, four-year institution — the lowest share in over 40 years.4 Pell Grant students are already more than twice as likely to have student loans. Nine in 10 Pell Grant recipients who graduate from four-year colleges graduate with debt, and they have an average debt of nearly $5,000 more than their higher income peers.5 Robust investment in the Pell Grant is needed to reverse its declining purchasing power and reduce the disproportionate burden of debt among students with the highest financial need. Instead of working to rectify these issues, the PROSPER Act, which passed out of the Education and the Workforce Committee along party lines, exacerbates the increasing burden of student debt and continued inequity in higher education access and outcomes. It would make higher education less affordable, saddle students with greater debt, and push more students into loan default. 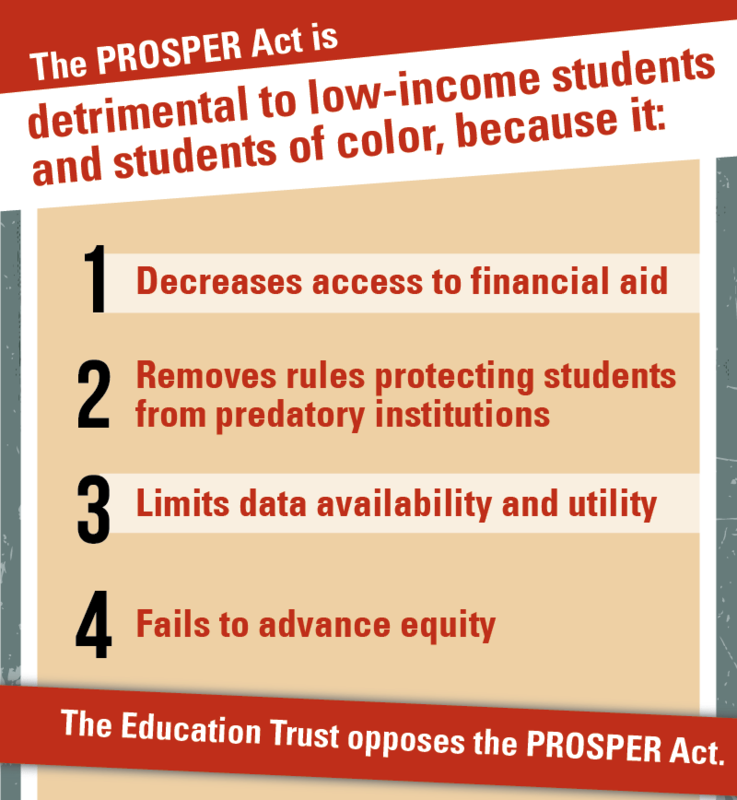 Significant changes to the PROSPER Act are needed to adequately prioritize students, increase affordability, and close equity gaps in higher education. We urge you to delay moving the bill forward until such changes are made.